The beacon - a low-cost device that retailers can attach to store shelves or walls to communicate with customer smartphones - is coming into its own. Beacon programs are quickly moving out of beta phase and becoming an integral part of the retail industry. Beacons can be used to power indoor maps, payments services, and location-sensitive product catalogs. There are many different beacon hardware vendors and systems - including Apple's iBeacon system - but they all share some basic characteristics. Namely, they allow retailers and event organizers to efficiently communicate indoors, without a need for GPS. Beacons - low-cost devices that communicate with smartphone apps indoors - will begin exerting a significant influence on US retail sales in 2015. Beacon-influenced sales volume will ramp up quickly, as many forms of in-store marketing take up the technology, including couponing. iPhone and Android smartphones are compatible with this technology. We estimate that beacon-triggered messages could directly influence up to $4.1 billion of total US store sales this year (or .1% of sales volume at top-100 retailers). That figure will grow 10X in 2016. 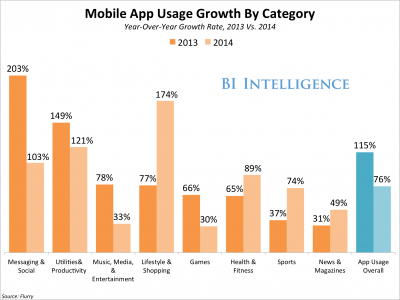 Consumer app usage will help speed adoption of beacon programs. The lion's share of audience time on mobile is spent in apps. Beacon marketing requires that customers have targeted apps on their phones. Beacons will help offline retailers integrate their loyalty, payments, and digital-marketing programs. Karnataka government sets yet another example-access 4187 services on single App! Can wearables overcome initial failures and go mainstream? 4Karnataka government sets yet another example-access 4187 services on single App! 8Can wearables overcome initial failures and go mainstream?